Spring is the ideal time to introduce your little one to gardening. Even if you don’t have the space (or the inclination!) for an outdoor garden, you can still teach kids about growing things and caring for plants with a homemade indoor terrarium. 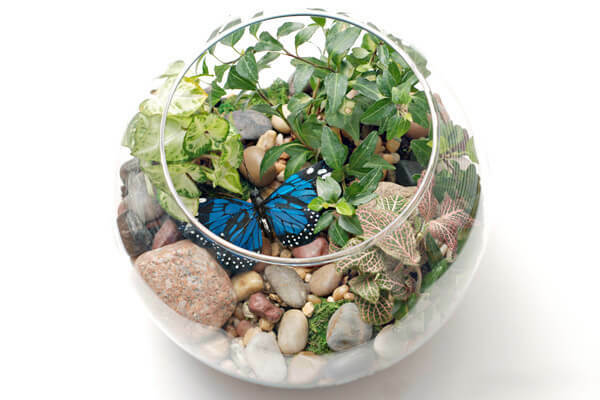 A terrarium is like an aquarium, but for plants instead of fish, and can be made in just about any glass container. It is planted to look like a miniature garden or forest enclosed in its own little world. 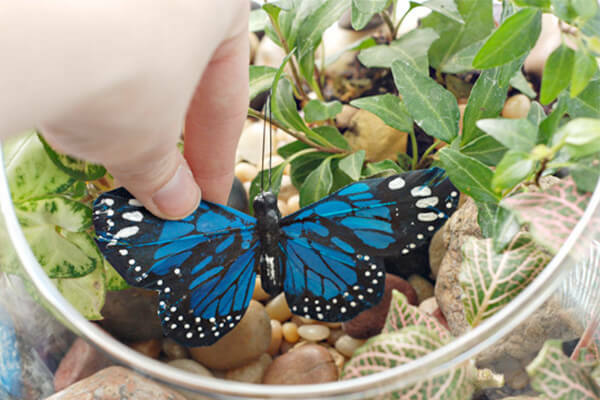 Kids will love to help create this cool living craft project, and watering the plants is a great way to give kids some extra responsibility. 1. 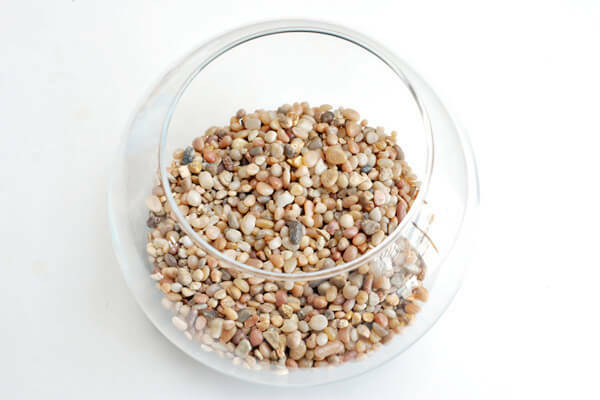 Start by pouring a layer of small gravel in the bottom of the fish bowl. Save a couple handfuls of gravel to use on top of the soil later. 2. Cut a piece of burlap that is just a little bit smaller than the bowl. Lay the burlap on top of the gravel. 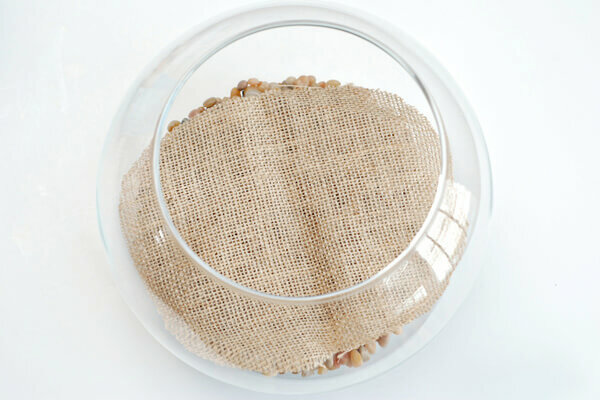 The burlap will stop the soil from falling down into the gravel and help the terrarium drain properly. 3.Remove one of your plants from its pot. 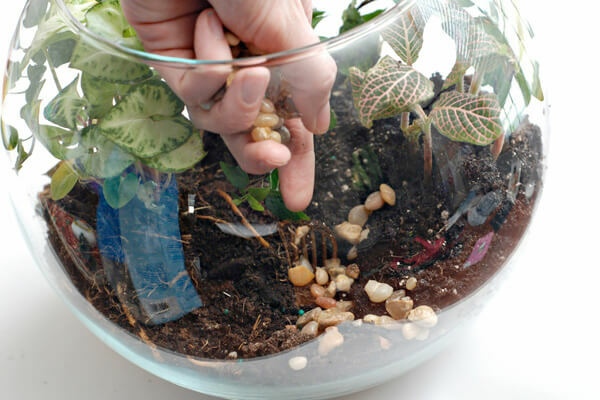 Break apart the soil to loosen it, then set the plant in the bowl. 4. Add the remaining plants to the bowl. Be sure to leave a little space between each plant to give it room to grow. 5. Sprinkle the rest of the gravel over the top of the soil. 6. Cut out pieces of the moss. Cut the moss out in free-form, natural shapes. 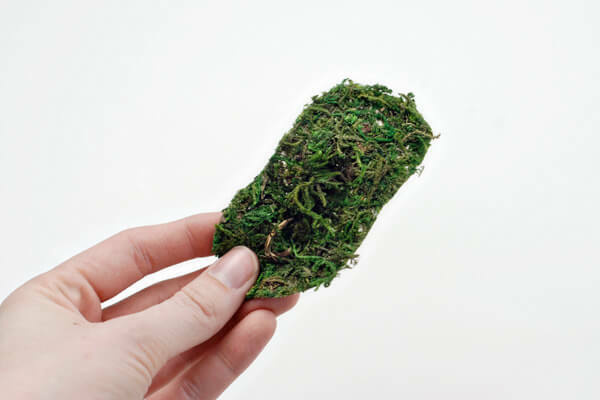 Use the moss to cover any parts of the soil that are still exposed. 7. Next, add in the larger rocks throughout the terrarium. 8. 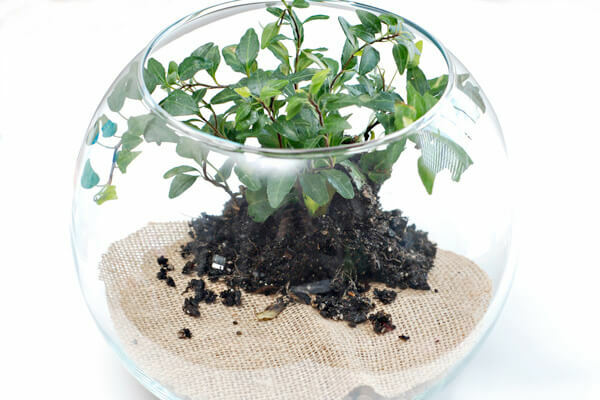 Add any decorations to the terrarium. 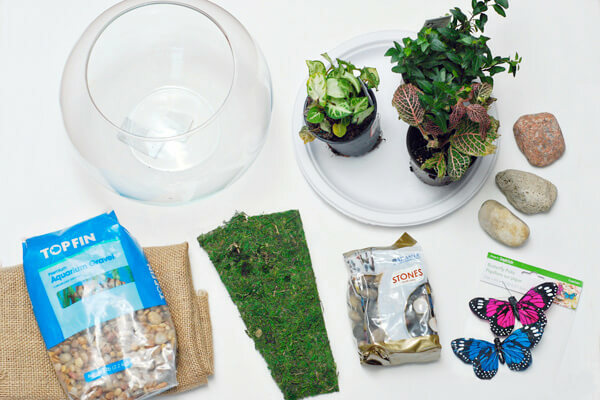 You can use fake insects or flowers, or you can use small plastic dinosaurs or other animals to turn the terrarium into a miniature forest. 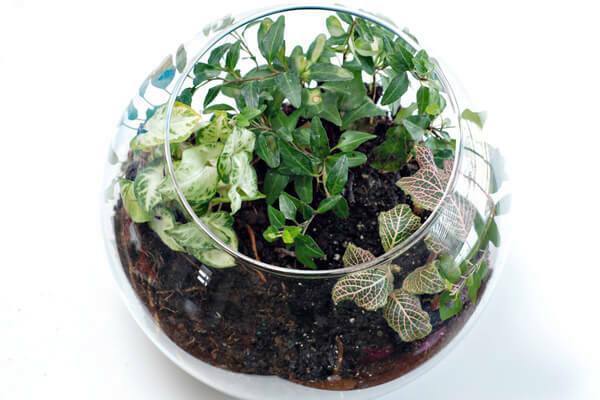 Be sure to set the terrarium in a sunny place where it will get lots of light. 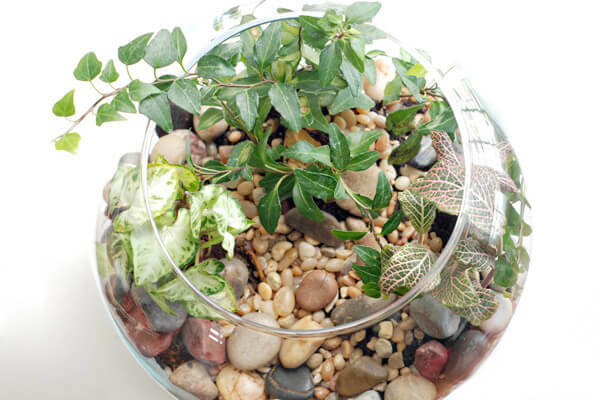 Water the terrarium periodically, but be careful not to over-water. A spray bottle is a good way to water the plants without getting the soil too saturated.